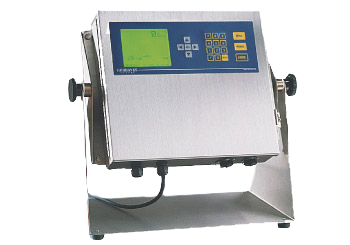 Easy-to-operate, high resolution instruments featuring Intalogix Technology. Intalogix delivers increased resolution and greater accuracy in basic weighing functions currently using standard analog load cell technology. Through a unique process of digital multiplexing of load cell signals, the instrument processes the individual signals and converts them to precise weight readings. 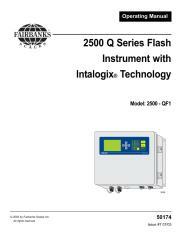 With Fairbanks' 2500 Q Series Instruments, users enjoy the diagnostic features and benefits of Intalogix, as well as the added capability of flash memory technology. A single model can be used in a variety of applications by simply "flashing" in a new application.